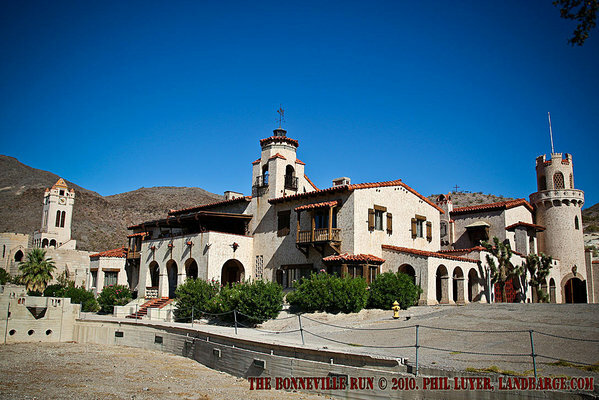 On our first day in Nevada, we visited Scotty's Castle, in the Death Valley National Park. Scotty's Castle is actually the "Death Valley Ranch", and it wasn't actually Scotty's either. Scotty's Castle was built by a wealthy couple as their vacation home, and Scotty was a close friend who entertained the couple and their guests, while pretending to live there. The Death Valley Ranch was an amazing building, with it's own hydro-electric power station and rather advanced cooling systems for the era in which it was built. Over the years many Californian celebrities came to stay at the Ranch when they visited Death Valley. We had lunch at a little bar in Beatty known as the Sourdough Saloon. This Saloon's claim to fame lies in the car parts covering it's walls. Over the years, many automotive manufacturers have used Death Valley to test their cooling systems and many of those test teams have retired to the Sourdough Saloon for dinner and a drink or two at the end of a long day. 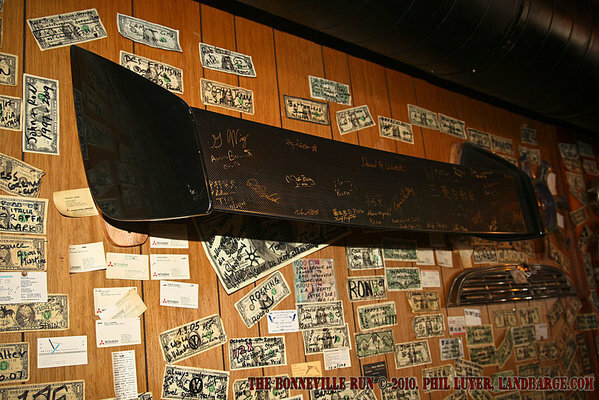 They've also been known to donate signed car parts to the Saloon, to be hung on the walls. 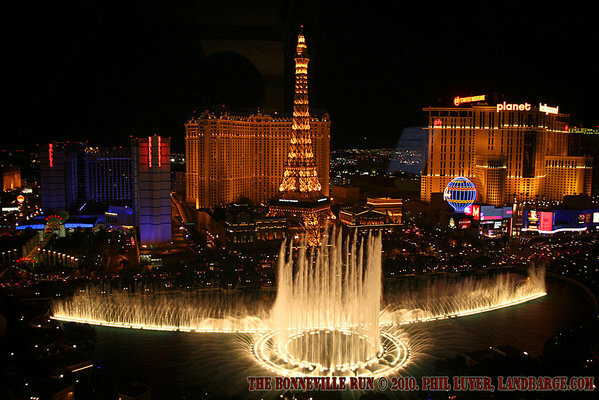 By now it was about time we hit the road, as we had rooms booked at the Bellagio Hotel and Casino in Las Vegas, so we pointed the Cadillac in the general direction of Las Vegas and stood on the gas. A couple of hours later and we were pulling in to the parking at the Bellagio. I knew to expect Vegas to be big, but it still surprised me with just how big everything is. Our room was up on the 24th floor of the Bellagio, with a perfect view of the famous Fountain Show and also a great view of the strip.